The day started with sowing wheat. I got the seeds from a friend in Austria, the sort is called “Amadeus”. Hopefully it will survive the heavy snow during the Antaiji winter. At ten o’ clock, three people working in the forest business came to teach us about using chain saws safely. They began with theoretical lessons. As wood cutting is not about theory, we sonn moved to the forest. One of the guys showed us how to cut the big sugi trees. Next, it was Tsukans turn. Being from Oregon, he had no difficulties with using the saw. After that came Eko, the leader of the “Antaiji forest group”. The three professionals had to use their manpower to fell the tree. After that Takeo, our fresh man, showed his seniors how to cut properly. “Not too bad”, Gusho said. Jinen is one of those meditative types. As could be expected, the tree would stand firm. After the training course had ended, all of us went to the hot springs in Yumura to relax. 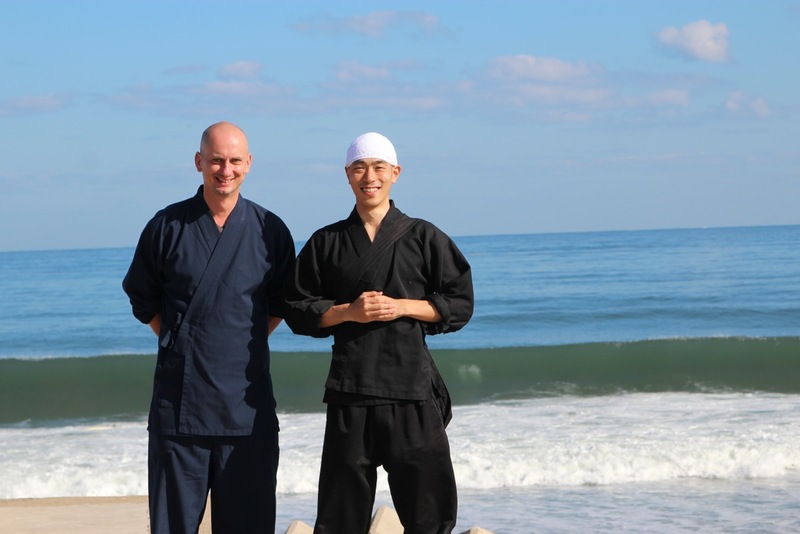 One of the many technical terms in a Zen monastery that even present day Japanese hardly understand is “tosu”. The oldest and biggest tosu in Japan can be found in Tofukuji in Kyoto. 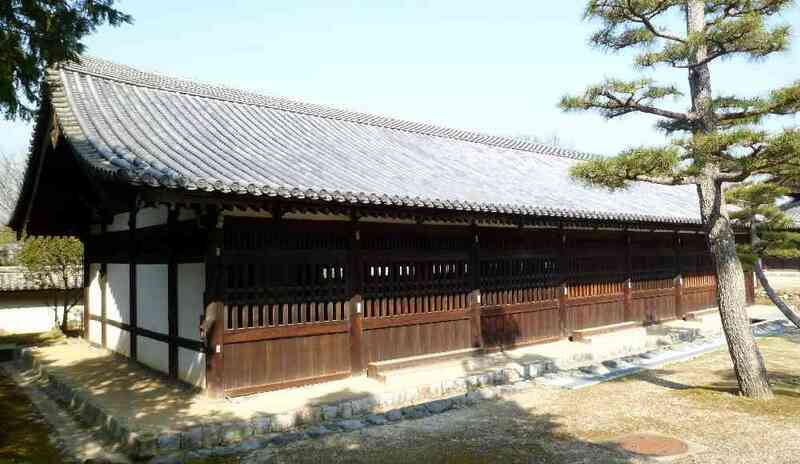 Today it is used as a zazen hall, but originally it used to be a huge toilet. The literal meaning of “tosu” is being in charge of the East, but most tosu buildings seem to be located on the Western side of the monastery compounds. Today, in Tofukuji as well as Eiheiji and most other Zen monasteries, the monks flush their toilets. Some even have washlets. You will have to search for places like Antaiji where the manure from the toilets is still collected in tanks and used to fertilize the fields. Here Jinen empties the tank to transport manure to the carrots, so they can grow until the winter. Other work today includes spreading straw and rice powder in the harvested rice fields, collecting persimmons, and tending to the gardens. Because of another approaching typhoon, it has been raining a lot the last couple of days. Fortunately, most of the rain this year fell on sesshin or free days. In the past, we had years when the sun shone in the blue sky during sesshin, and when we went to work in the fields it would rain. This year’s pattern makes work much easier. Today, on the 25th, was also sesshin. After the last period of zazen ends, everyone prostrates together. Afterwards, people leave the hall to go to the kitchen and thank the cook. As the last one, the jikido puts out the candles, closes the doors and then hurries after the others. As the stock of kitchen wood has come to an end, we have been cutting and chopping wood today. The wood is stored in the garage, behind the bulldozer. Together with Tsukan I cut the big pieces with a circular saw to a length of about 25 centimeters, so that they can be chopped with an axe. Adrain, Daniel, Gerard and Takeo do the chopping. After the cutting, Tsukan sharpens the chain saw blade while Tobi repairs the damaged low of the tractor. At Antaiji, work outside starts after the meeting at 7:30am. It is interrupted by a break at 10:00. Everyone comes together to enjoy a cup of tea and a chat. Other work done today was binding the harvested rice plants, and moving the buckwheat plants to the barn. Twice each year, in May after the rice planting and in October after the rice harvest, their is a holiday at Antaiji called “Obosan”, literally a “big free day”. On these days there is no zazen, no cleaning, and of course no work either. Even the cook is off duty, which means that everyone is free to cook in the kitchen as they like. Here you see Tsukan, Steffi, Adrian and Daniel discussing Enneagram personality types in the morning sun. The Enneagram seems to be the latest Antaiji fad. Tobi, who embodies the “No. 7” stereotype, sits close by and enjoys a late breakfast. he does not mind being labeled “The Enthusiast”. Tobi is seen crossing the slackline in Antaiji’s garden. Me trying unsuccessfully to do it like Tobi. More practice! Florian Wiltschko, an　Austrian Shinto priest living in Shibuya, Tokyo, performs a thanksgiving ceremony in Antaiji’s main hall. After the ceremony, we ate the first new rice this year with ground yams. It was delicious! Today was another one day sesshin. Apart from the 5 day sesshin at the start of each month, we hold these “mini sesshins” four times a month, on the 10th, 15th, 20th and 25th. On these days we sit from 4am to 3pm, with breakfast at 9am and curry rice at 3:15pm. The evening is free. Today’s sesshin was interrupted for one hour before noon, during which seven of us transported the rice from the bamboo construction into the barn, so that it will not be blown away by the typhoon that is scheduled to pass through tonight. On the evening before these sesshin, the practioners take turn giving dharma talks on Shobogenzo Zuimonki. Yesterday was Yoshin’s turn. She spoke about chapters 3-10, 3-11 and 3-12.